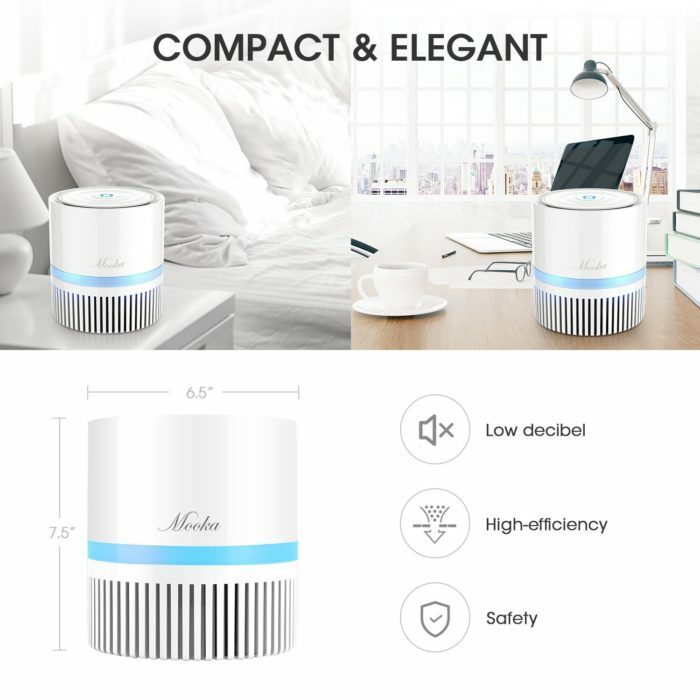 SIMPLE TO USE & PORTABLE: Using this air purifier couldn’t be easier as one-button operation turns it on/off and controls the fan speed. The elegant and compact design mean it looks great anywhere and fits almost any place.The low power consumption and low noise make it affordable to run and quiet. 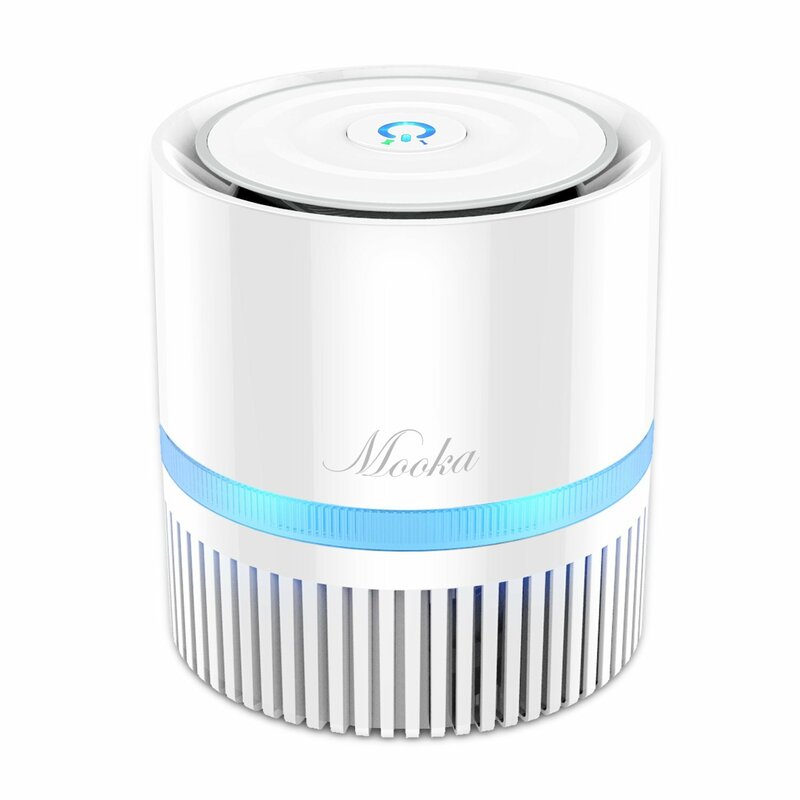 MOOKA True HEPA Air Purifier is Ideal for Your Family. 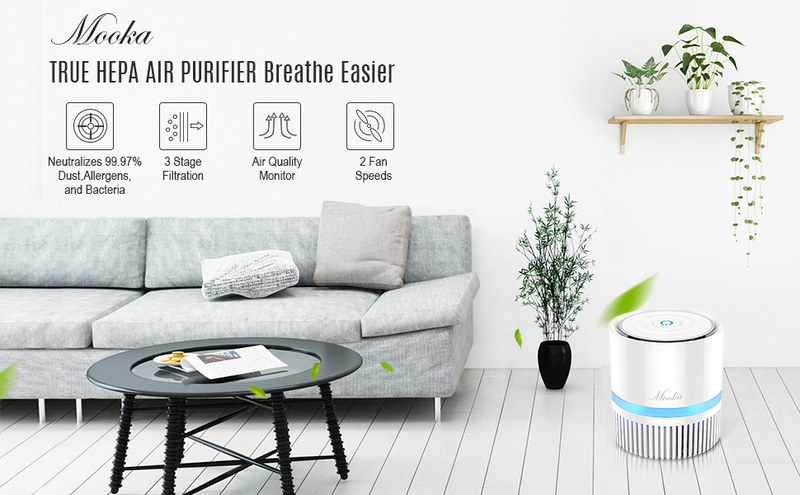 Let Your Family Breathe Easily! 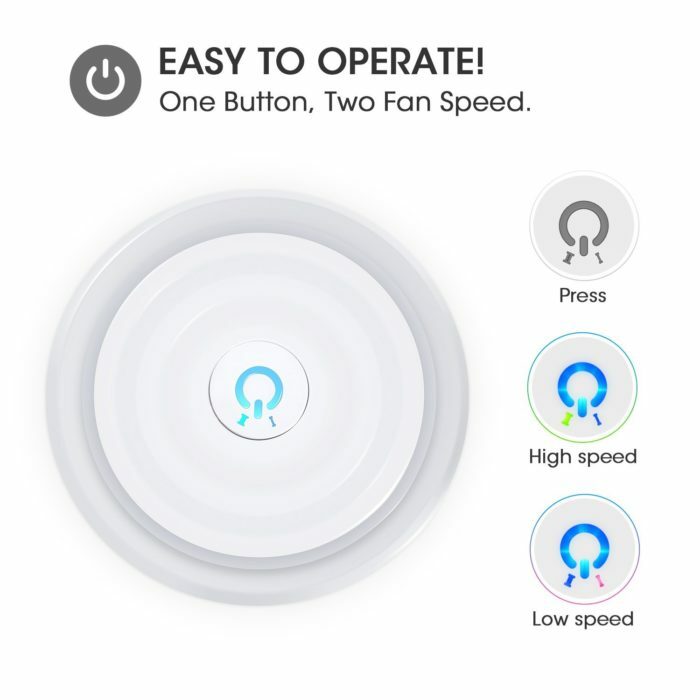 Nightlight Function: Cleans your air and lights up your path. Great for a nightstand in your children’s bedroom or on a side table. 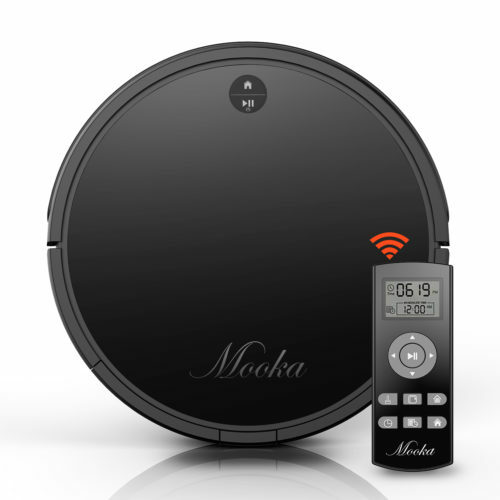 Easy Operation: Different cleaning modes are available just by touching the sensitive buttons. Safe for Your Respiratory System: No harmful substances or ozone released as it filters. 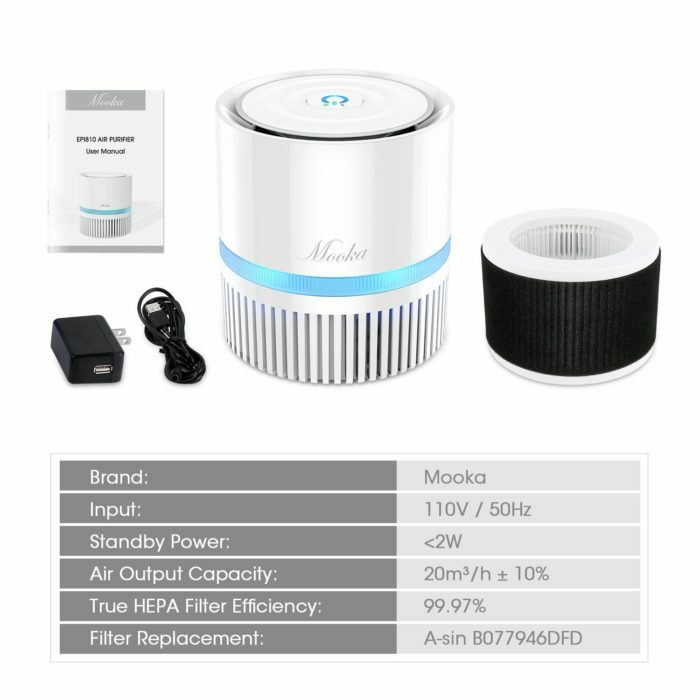 It purifies air fast and removes bacteria, pollen and odors from your home. Please don’t shake the product violently or drop it from a high place, so as not to damage the product or shorten its lifespan. Indoor use only; The product should not be used outdoors. Avoid blocking the air intake and the outlet openings. 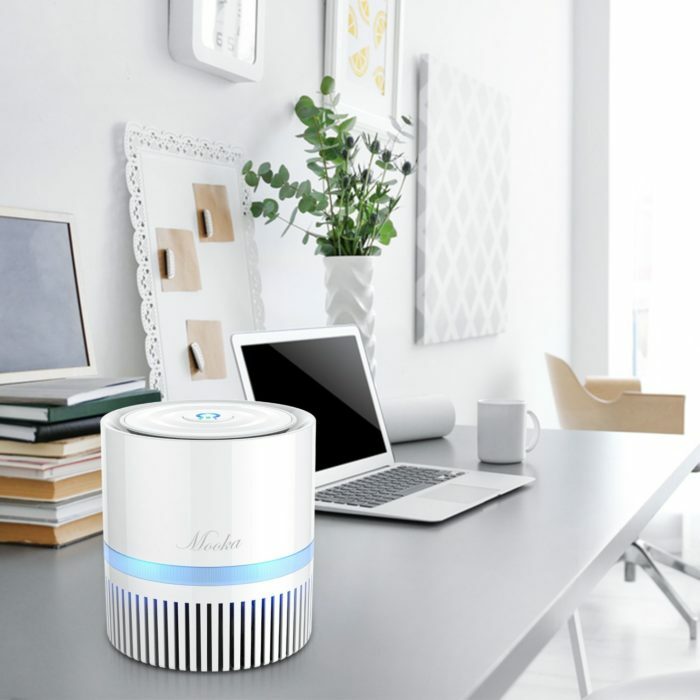 Please unplug the power cable when the air purifier is not in use for long periods. Dis assembly of the product should only be done by a qualified technician. Use MOOKA designated replacement filter to maintain product performance. 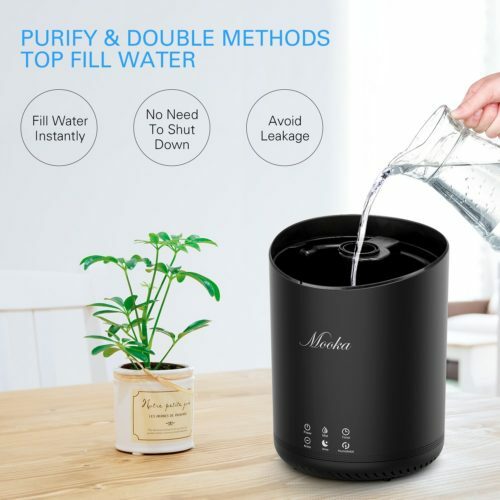 Only one single filter needs to be replaced every 6 months depending on the use of the product. 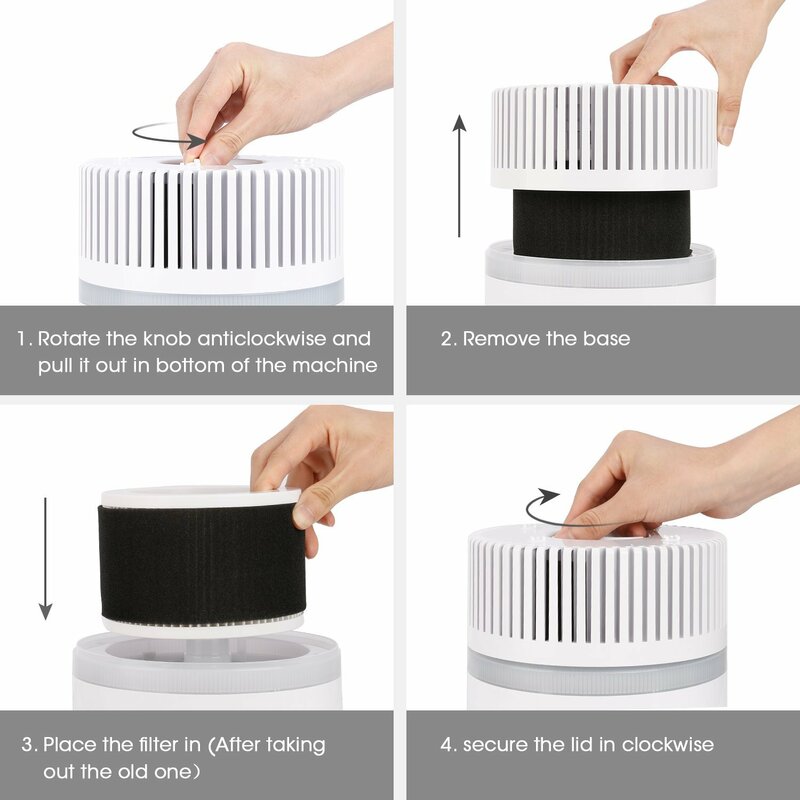 This Air Cleaning System is More than Just a Filter! 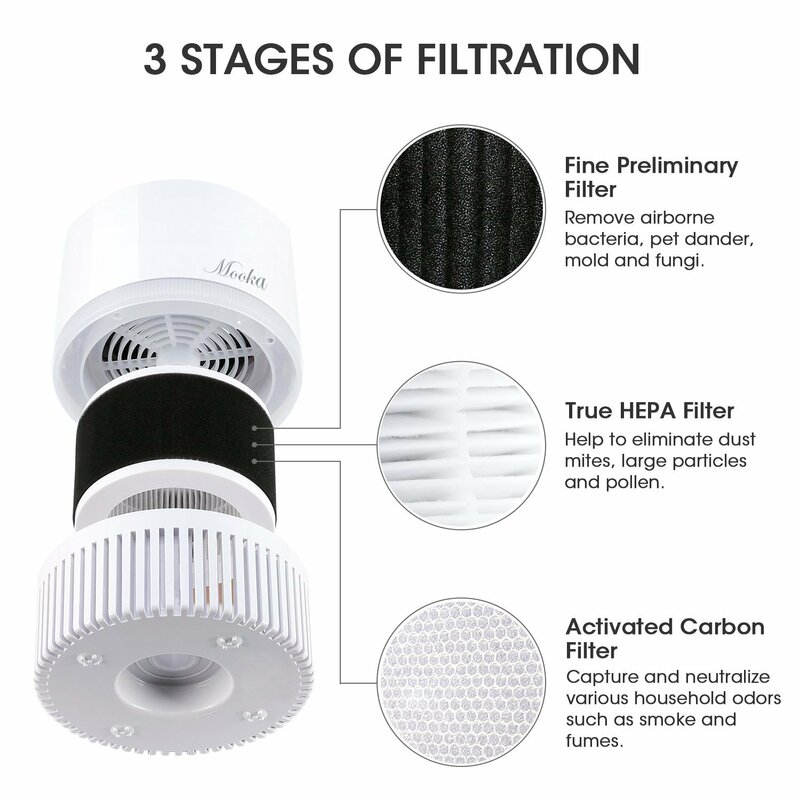 Multiple levels of cleaning include Fine Preliminary,True HEPA,Activated Carbon filters to help improve your indoor air quality. Common household allergens can trigger and asthma or allergy attack. 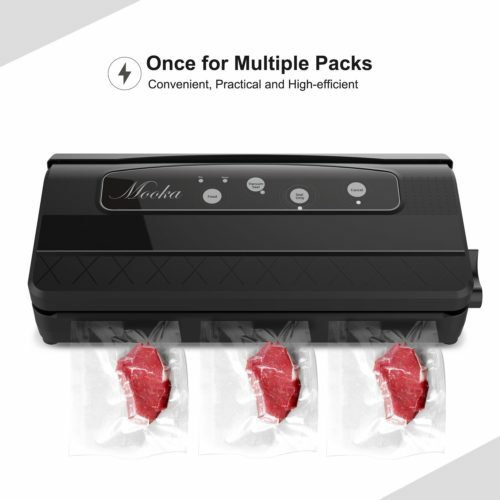 HEPA filters trap 99.97% of particles down to 0.3 microns in size, reducing airborne allergens. Question: Would it be too big to put on the office table? 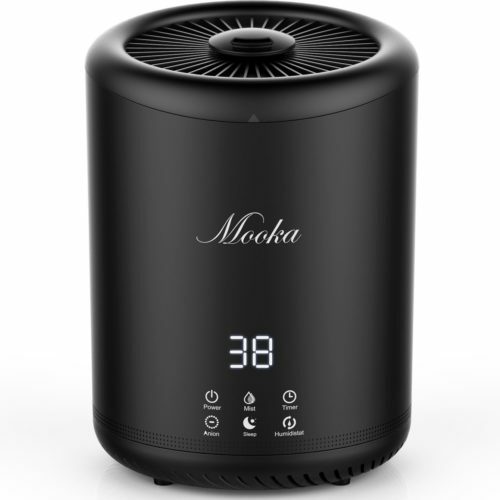 Answer: Our Mooka air purifier is designed for office table, which will absolutely fits the size the office table. Question: How often do you need to change the filters? 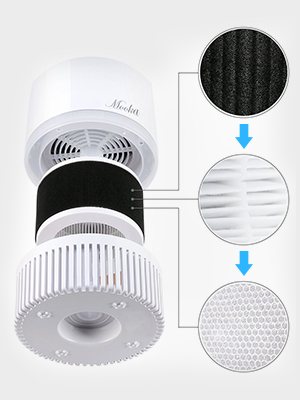 Answer: You can change the filter according to the using frequency and air quality. 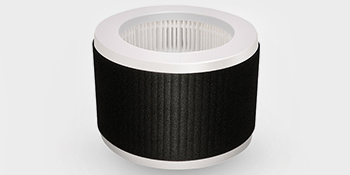 We recommend to replace the filter every 6-8 month. Question: Is this ozone free? Answer: It is 100% ozone free. Question: Where can I get replacement filters? Do you have a link I can follow? Answer: You can search the following asin: B077946DFD for more matched filters. Question: How much does this weigh? Answer: 2.1 lbs. It’s compact and portable. Answer: It has 2 fan speeds. The slow speed is quiet and restful. Question: Do you keep it running all the time? If not in what time increments did you use? Answer: My wife uses it at her office and keeps it running most of the day while she is there. Answer: It needs an electric outlet. 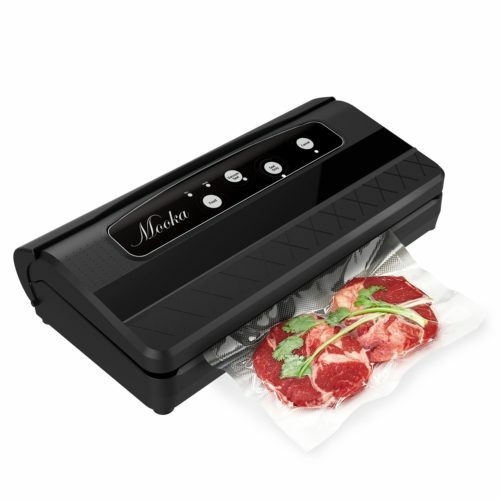 Easy to use, just plug in to the power and it keeps working . 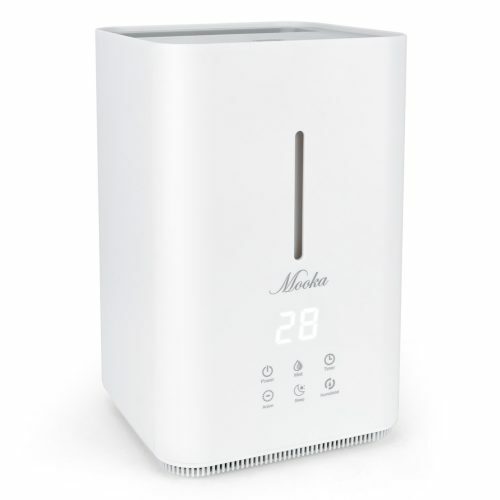 I have been used the air purifier for five days total, I can tell that there is less dust on my wooden floor. 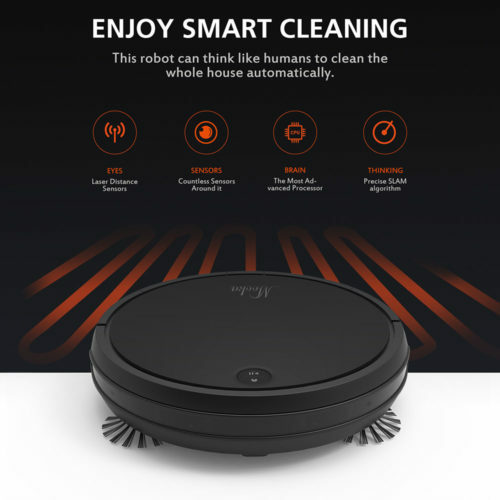 Before use this product, I can see lots of dust on the floor every morning when the sunshine come onto the house. But it is getting better after I used the product. I am glad that I bought this product.